Since early years I like go by bicycle everywhere. In school I was even in bicycle-sport team till high-school classes. And after school, when I start to thinking about job and making money, I was working as bicycle messenger… So now every Spring, as the weather warms and the days lengthen, I’m taking my bicycle out from basement and going to shorter or longer tours by bicycle in Latvia. 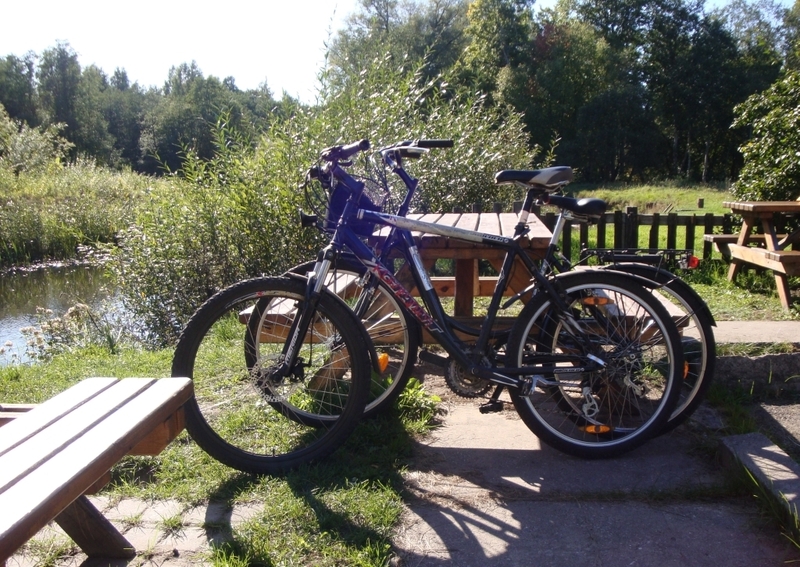 Cycling is a great way to exercise for my “Winter tires”:) As last years I’m living near Riga (by moving out from Riga) in Upeslejas – village in Stopiņi municipality, near Mazā Jugla river, my way to Riga is most by bicycle and it’s only some 10-15km.